Traveling can be a pain when it come to luggage or baggage. It is even more of a problem when hiking, climbing or running. I read an article about a Floating Backpack and I just was amazed that someone took the time to invent this item. It's constructions seems simple and I wonder why someone hadn't thought of it before. 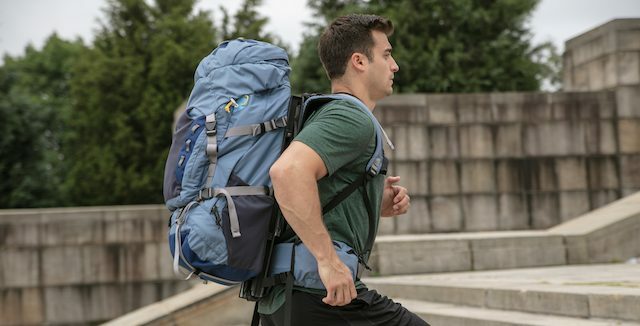 It uses bungee cords and pulleys to cushion downward jerks felt when heavy backpacks bounce. The result is a bag that appears to levitate while its carried. This may be the next best thing when it comes to using a backpack. Check out this article and see all the info needed to understand how it can help make a heavy load seem lighter with less stress on your back. This creation can cut the risk of spinal injury by drastically reducing the downward force created when moving with a pack. With every step you make a load can feel nearly a third heavier, straining muscles and joints with every jolt. I feel this new suspended load technology is going to make a big difference in the lives of campers, runners and hikers. As I get closer to the retirement age I look for ways to spend my time. Vacationing is one thing I want to do more of. When I read this article I was surprised at some of the spot is article talked about. It is full of interesting locations to travel to and visit. It tells the most common travel destinations for adults 60 and older. As you would expect, Las Vegas is on the list. Sin City as most call it will be one place I will like to vacation to when I retire. There are also a lot of other location listed. I was surprised to see Phoenix and Philadelphia on the list. Check them out if you are thinking of retiring and speeding some of your time vacationing. I am a lover of the fall and all the fall colors we get in Missouri, but when I ran across this beautiful picture and article I have decided to travel to New York in the fall some time soon. This inviting sentence -Awake to a new world, one of clean mountain air and endless days of adventure on the water and in the mountains- and photo says it all. There are panoramic views of perfection everywhere you look. 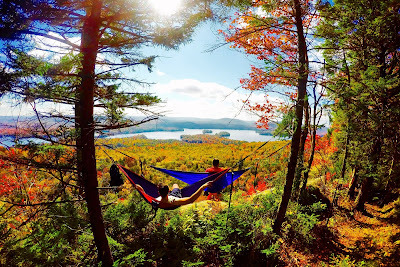 There is also many different way to camp in the Adirondacks. Check out this article to learn more about an adventure in nature that is sure to give you beauty in all directions. Please give me some feed back if this has been your destination. 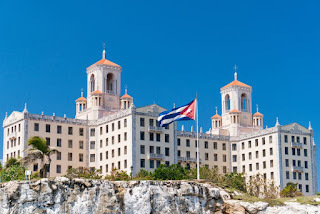 When relations with Cuba started to improve I was so interested in traveling there. I though that maybe someday that would be a option. Since then the advisory to travel there have been at many levels. If you are confused about restrictions and the levels you should read this article about how conditions have change recently. Travel interest have increased over the last few months and I'm hoping that we can feel safe enough to travel to Cuba soon. 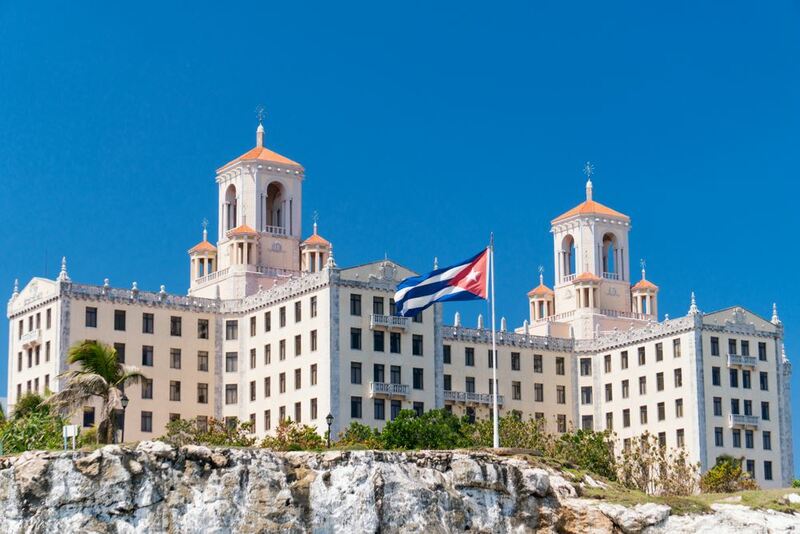 Check with your travel agent for all updated warning systems and the new restrictions about travel to Cuba. I would love to hear from anyone who has been to Cuba or who is wanting to go. I think it would be a trip of a life time. Safe travels. 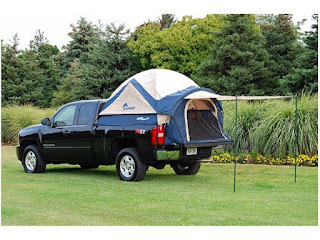 For a quick way to camp you should consider using your truck and get a tent that fits in the bed of your truck. This article tells you all the versatile ways to get the benefits from these tent. There are so many benefits that it is hard to imagine. Have a SUV? Don't worry these tents can be used with most make and models. Check out all varieties at www.buytruckbedtents.com. The biggest advantage to this style of camping is that you can camp in places that you never thought you could. If you truck is 4 wheel drive just image where you can go and camp. Remote locations here we come! We all love to travel and with the internet at our fingertips, do we really need a travel agent? If you are booking yourself..good luck. Many times things don't work out the way you planned. As you read this article that I found about travel agents you will see there is a NEED for a travel agent, it's called peace of mind. 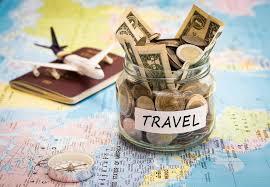 If you have never visited a travel agent, you are missing out on a chance to save time, money, hassles and aggravation. I believe that the little extra time and money spent using a travel agent is well worth it. I would love to hear of your experiences with using a travel agent. Well a camper that was designed in the 1930 during the depression and been updated. provide a great outdoor adventure. 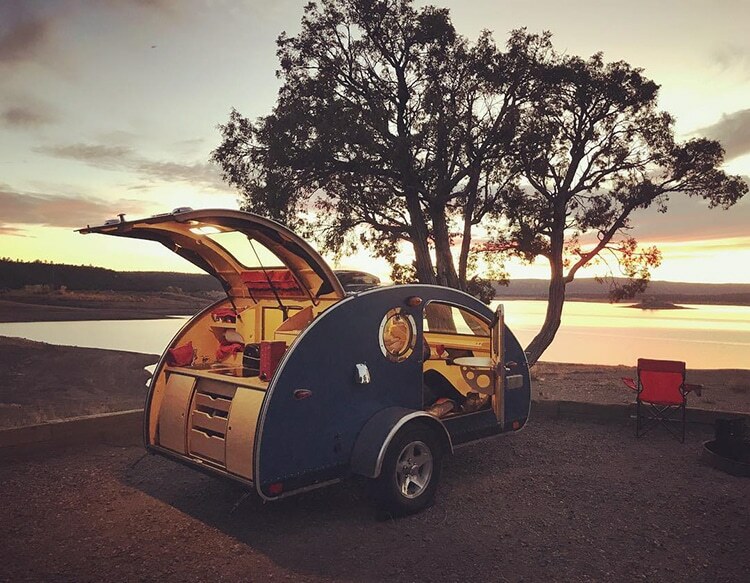 This space-age, fully-customizable, adorably-sized camping trailer tat is just right for one person. This article has great info on the design and uses of this portable camper. 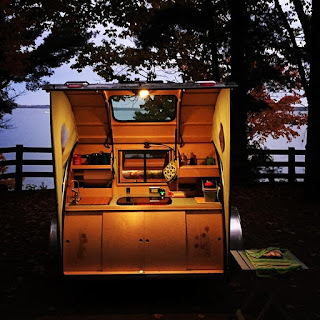 This camper is the cutest thing and will be around for many years to come. Take a look at it and consider this style of camping.